Redevelop a growth vision for your organization reflecting its true potential. Design your pathway to enterprise value growth, incorporating new creative approaches and effective strategies. 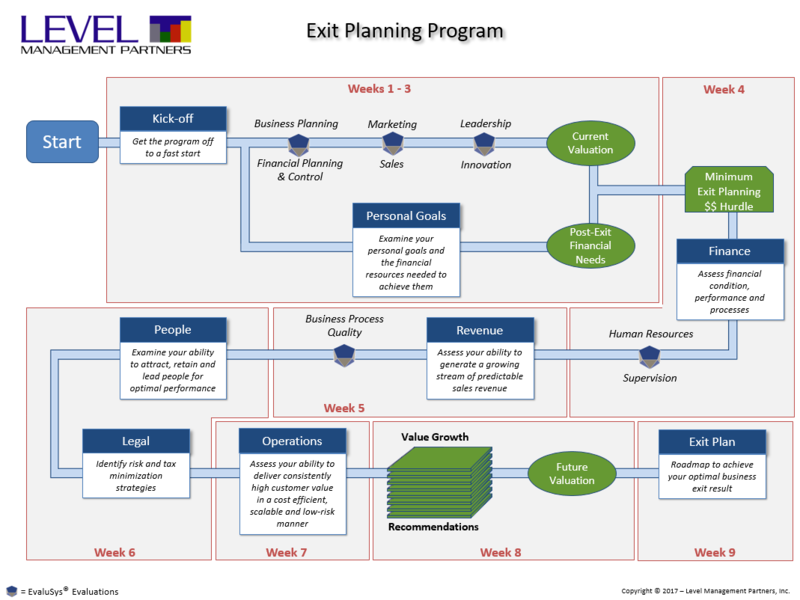 Fully develop your post-exit opportunities with a holistic exit strategy and plan incorporating LEVEL's Growth Vision and Value Architecture solutions. Access the LEVEL Expert Network™ to solve immediate problems, allowing clearer focus on long-term value growth. Our holistic approach to value creation is only possible by combining greatly skilled people, highly structured processes and industry-leading online tools. 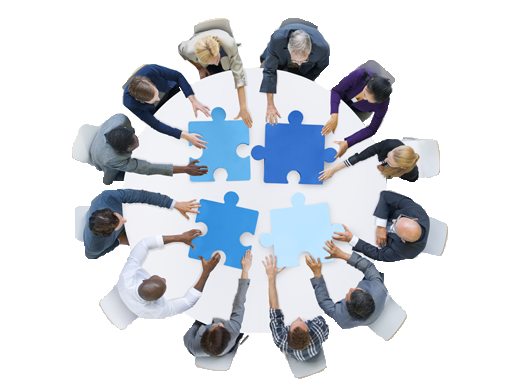 Our unique programs involve many people, so rigorous processes and program leadership are vital to client sucsess. Fortunately, process improvement is a sweet spot of ours! LEVEL uses diagnostic tools from EvaluSys® to accelerate discovery of value creation opportunities, saving our clients lots of time and money. EvaluSys® is a registered service mark of EvaluSys LLC. LEVEL is a licensee of EvaluSys.